HE ACHIEVED IT all in hurling and now Henry Shefflin is back trying his hand at Gaelic football again. Hurling commitments dominated Shefflin’s sporting radar for several years but after his inter-county retirement last March, the Kilkenny legend is back helping out his club in a different code. 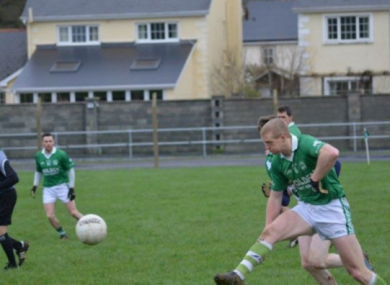 This afternoon he lined out for Ballyhale Shamrocks in the Kilkenny intermediate football league against Graignamanagh. Defeat was their lot by 2-9 to 1-6 in the game played in Ballyhale. The pre-match team talk was likely the first time Shefflin had heard such specific instructions when it came to not soloing the ball. Former Kilkenny teammate David Herity was quick to point out that this could pave the way for a new sporting chapter for Shefflin. Email “Henry Shefflin returns to Gaelic football action with Ballyhale for the first time in 14 years”. Feedback on “Henry Shefflin returns to Gaelic football action with Ballyhale for the first time in 14 years”.